UPVC CONSERVATORY ROOF LEAKS ARE GUARANTEED !! 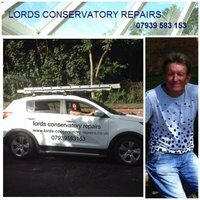 Lords Conservatory Repairs are a small honest repair company with 40+ years in the Industry. We pride ourselves on our commitment to provide a professional and speedy service at all times, whilst maintaining the highest quality of work. We are also proud to be a 5* rated people member. Initially a conservatory fitter with the premier company's for more than 30yrs. I started this business 9yrs ago and have built up a solid reputation for excellence. Following heavy rain the conservatory roof leaked across one side. Remembered using Mike previously to repair a conservatory door. Sent him some pictures to highlight the problem and arranged a visit. 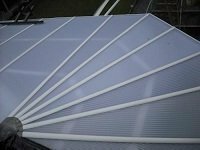 He pushed back some roof panels that had slipped secured them and re fixed a loose gasket. End result was that the problem was fixed and given peace of mind with a water test. Mike has many years experience and is happy to talk through the ,problem and solutions. Would use again and recommend. Superb work, efficient, speedy - a genius! 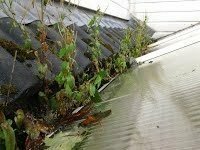 Mike cleared the box gutter on our conservatory which was full to overflowing and access to it was extremely difficult to say the least! Despite all this he did an excellent job for us. He is very clear on pricing - quoted prior to starting the work, arrived on time, was courteous and very efficient. We have just called upon his services again for some more work on our conservatory and we wouldn't use anyone else. We recommend him without hesitation. Thank you for the great review on which? Reliable. Very efficient. Friendly and he left no mess whatsoever. 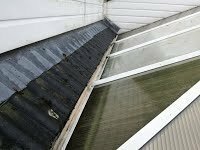 We had leaks in our 20 years old conservatory due to slipping roof panels and a dodgy ridge fitting. 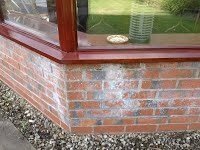 Contacted Mike by phone and was asked to send in email and a couple of photos to give him an idea what the problem was and the type of conservatory we had. He came back quickly with a estimate and available date to due the job. He contacted me early on that date to confirm he was on his way and arrived bang on time. Got on with the job quickly and quietly; it took just over 2 hours. He gave a bit of free advice as well, very polite and pleasant. I would Certainly recommend to friends. Totally agree with all the postive comments of honest and trustworthy. 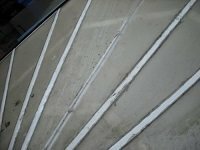 He repaired the slipped polycarbonate sheets and the struts. We will be asking Mike to return in 2019 for more work. Lords provide an excellent service. We would highly recommend them. They did some good work for us a few years ago so we asked them to come back and they were as professional as before. We presented Mike with the difficult problem of an intermittent leak that others have failed to solve. 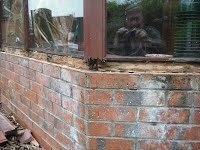 His excellent knowledge of conservatory construction and glazing systems enabled him to solve the long standing leak issue. We would highly recommend Mike. No hesitation in giving Mike an excellent review for the repairs he was able to do for our orangery leak. most of the reviews here are spot on in reflecting who Mike was as a person and professional in his work he did for us. Professional, confident, efficient and ready to work around our schedule for getting the job done. Thanks Mike!